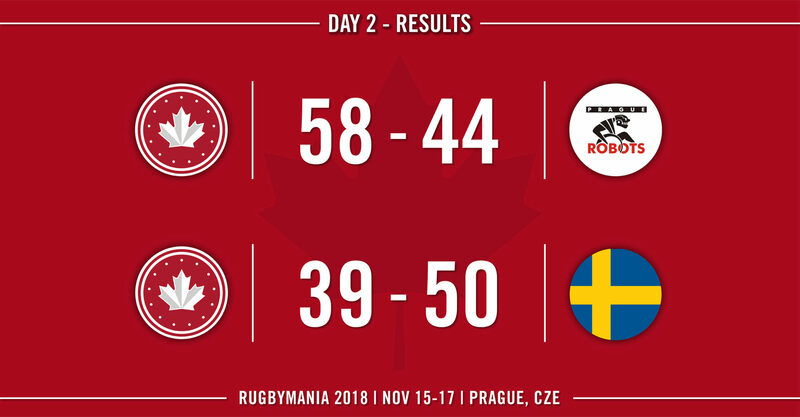 November 16, 2018Canada wins one and loses one on Day 2 of Rugbymania 2018 in Prague, Czech Republic. The pair of results means Canada finishes in second place in Group B and advances to the semifinals, where they will meet France on November 17, 2018. Canada wins one and loses one on Day 2 of Rugbymania 2018 in Prague, Czech Republic. The pair of results means Canada finishes in second place in Group B and advances to the semifinals, where they will meet France on November 17, 2018. 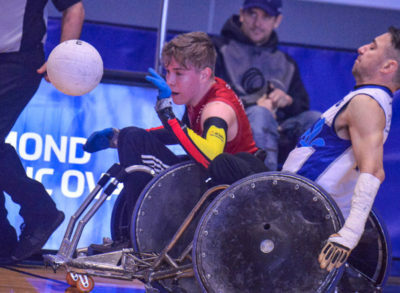 Canada, coming off their victory yesterday over Gigantes, played the tournament hosts the Prague Robots (CZE) in their first of two matches on the day. 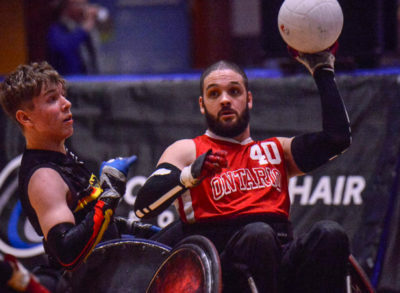 Billed as a rematch of last year’s bronze medal final, the game certainly did not disappoint in the early goings, with Canada taking a slender 13-12 lead after the first quarter. 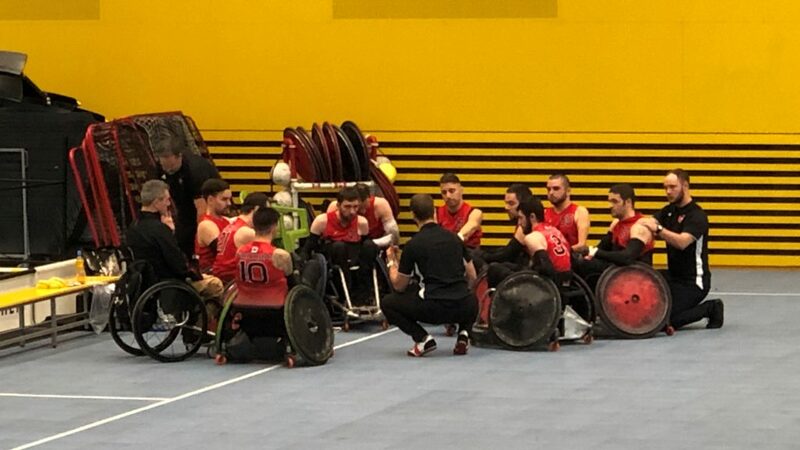 In the second and third quarters, however, Canada would force Prague into some key turnovers and build themselves some breathing room on the scoreboard, by taking a commanding 43-34 lead. 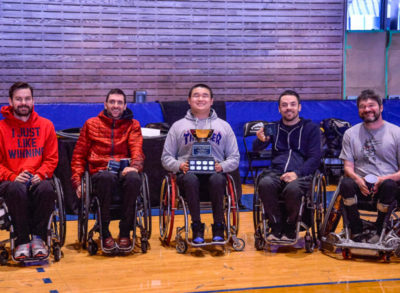 The fourth quarter would see more of the same, with Canada dominating and eventually winning by a final score of 58-44. The win was a significant one for Canada (2-0), as it guaranteed a top-two finish in Group B and a spot in the semifinals at Rugbymania 2018. The only matter that was left to determine was whether Canada would finish first or second, which would depend on the result of their final Group B match against Sweden, who was also undefeated at that point. Canada and Sweden would square off against each other in the afternoon match on Friday, with both teams battling and trading points early on, to keep the score close. The Swedes, however, would manage to find an extra gear in the second quarter and never look back. Despite a valiant effort by Canada to get back into the match, they eventually were defeated by 39-50 scoreline. The result would mean the Canadian team would have to settle for a second place finish in Group B.
Canada will now play Group A winners France in the semifinals of Rugbymania 2018 on Saturday, November 17th. A live stream of this match will be available and is embedded below. Tip-off will be at 6:00am ET / 3:00am PT. GO CANADA!